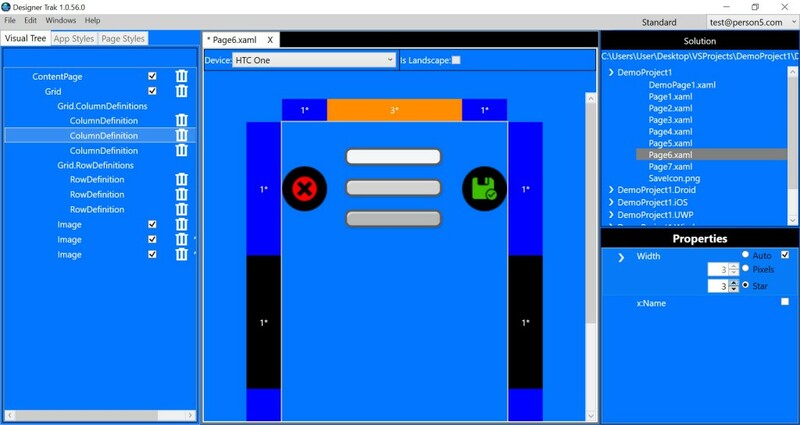 Design your next mobile app with our Xamarin Forms designer. It’s easier than you think, and it’s Free! Being able to design and build mobile apps without typing a single line of code is just one of the many things that make Designer Trak great! 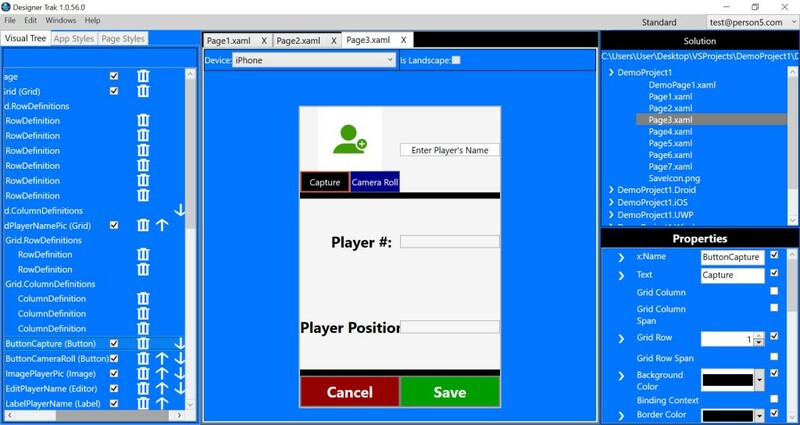 We have multiple How-To videos on the great functions our designer for Xamarin Forms will do. Grid columns that are on Auto take up the space needed for the largest item in that column. 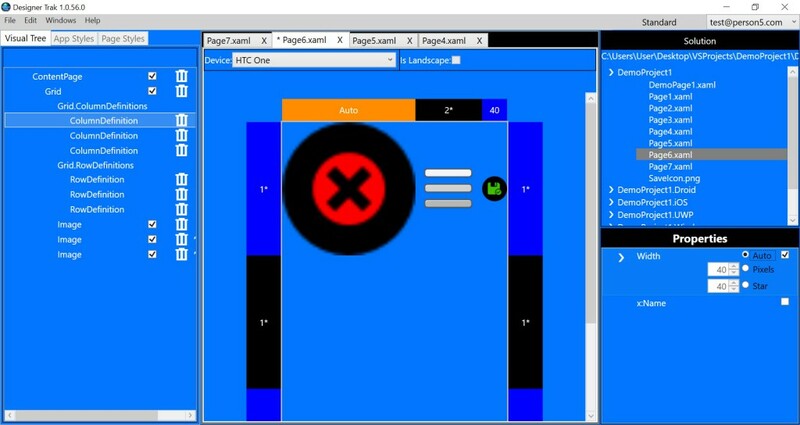 Grid columns that are a certain Pixel size are the column width of the number of pixels selected. Grid columns sized by star sized, that star means portion size – as the page takes up all the mobile screen space available, each star is like a portion of the available space. 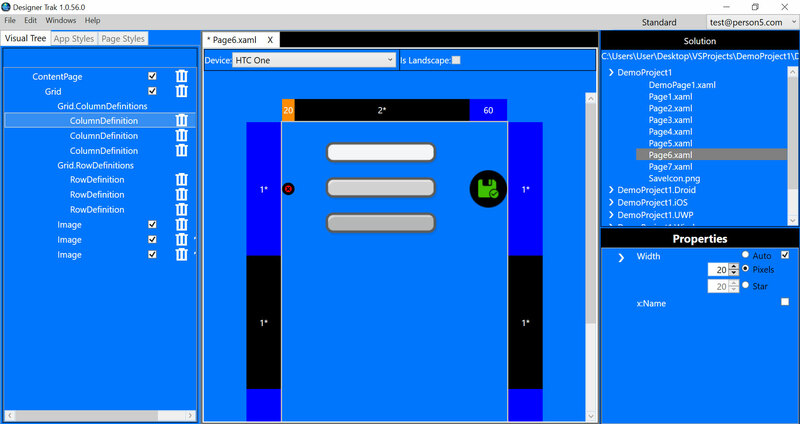 In the below example, each of the columns have 1* worth of space, so they’re all equal. 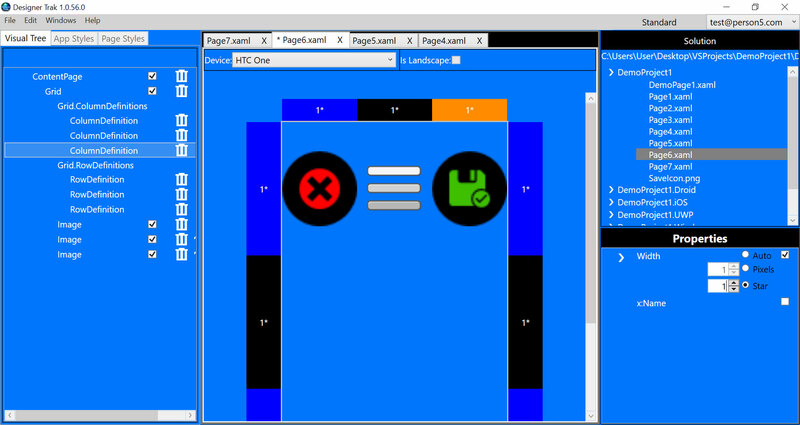 In the next image, uses Star for the column settings and this shows how the column sizes change based on the number of * in each column. Column sizes can be changed around based on what needs each page has. 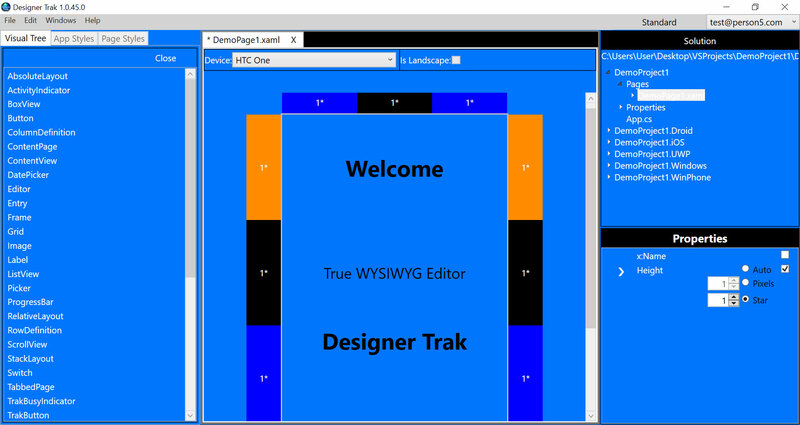 Designer Trak for Xamarin Forms allows for grids within grids while designing your next mobile app! 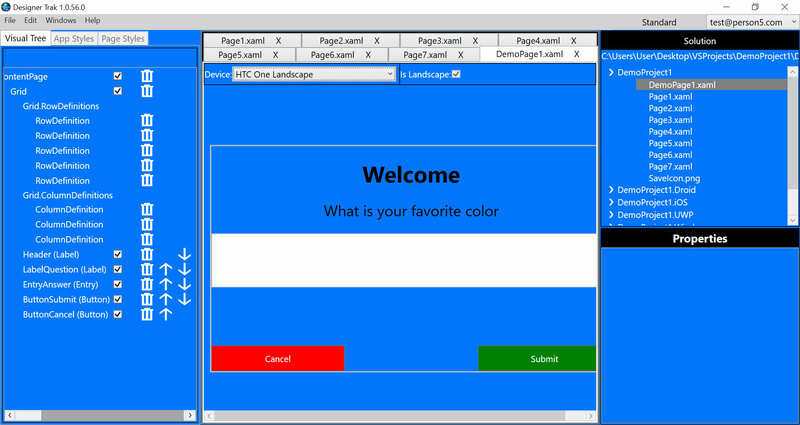 The days of wishing for a WYSIWYG Xamarin Forms designer are a thing of the past! 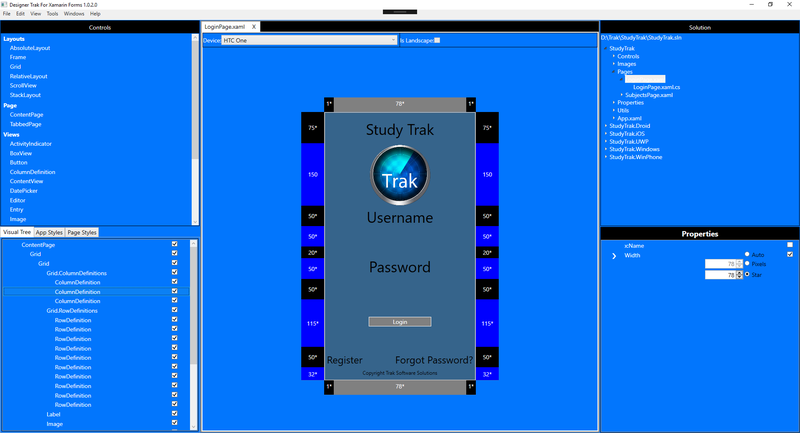 Feast your eyes on Designer Trak for Xamarin Forms NOW!